How would you hang balloon decors in a ceiling? 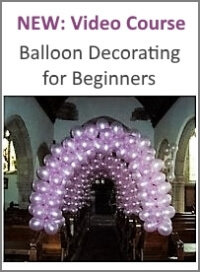 I will be balloon decorating for my cousin's daughter's baptism. I would like to hang ceiling balloons using fishing lines on a 8-10 feet high ceiling. How should I do it without really using a ladder. Is there a telescoping tool to use and if the venue wouldn't allow use of adhesives what should I use. Thanks. The only system I know where you don't need a ladder is a magnetic hanging system called Clik-Clik. Using an extension pole and magnets you can place the balloon decorations at the ceiling. This only works of course if there are metal structures in the ceiling. 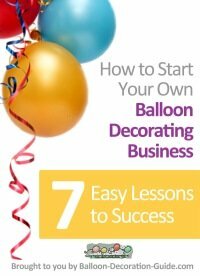 If there are no magnetic structures or other existing fixtures to hang your balloons to, you would have to use adhesives. 3M poster hangers can be removed without leaving any traces or damaging the surface. How do I hang a framed balloon heart to a ceiling? 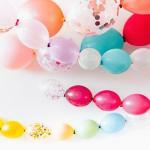 How do I suspend balloons? Many questions have already been asked and answered here. So it's always a good idea to search my site first. This way you'll get your answer faster! Comments for How would you hang balloon decors in a ceiling? 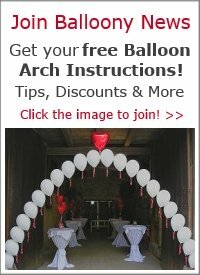 Yes, you can make bases for balloon columns or arches from plywood. We have a step-by-step guide how to do this here. For the pole, you can either use metal or PVC. If you use metal, make sure the base is heavy enough to carry the weight.